The President of Romania Traian Băsescu will visit Yad Vashem tomorrow, January 20, 2014. 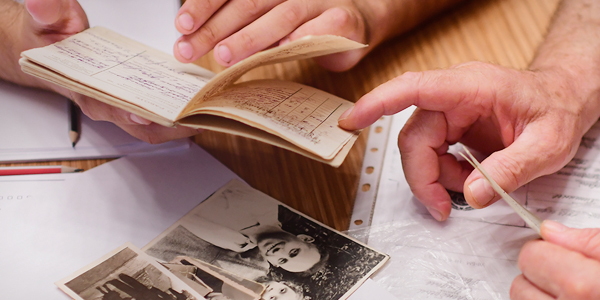 The President will visit the “I am my Brother’s Keeper: 50 Years of Honoring Righteous Among the Nations” Exhibition as well as the Yad Vashem Synagogue, which displays Judaica from destroyed synagogues in Europe, including many pieces from Romania. He will then participate in a Memorial Ceremony in the Hall of Remembrance, visit the Children’s Memorial and sign the Yad Vashem Guest Book. The President will have a working meeting with Avner Shalev, Chairman of Yad Vashem and the leadership of the International School for Holocaust Studies of Yad Vashem. At the beginning of the meeting the President will participate in the signing of a Declaration by representatives of the Romanian Government and Yad Vashem Chairman Avner Shalev pledging Romania's commitment to effective Holocaust education, research and commemoration and to combating expressions of antisemitism, racism and xenophobia.